"This work is part of the outstanding Edible series by Reaktion Books. This series attempts to integrate horticultural and botanical literature within a social and cultural context. Books are written in an accessible, engaging style, and incorporate many high quality images. This volume by Anderson, a botanist and culinary historian, approaches berries using the popular meaning rather than the botanical definition. Photographs and illustrations depict a wide range of berries from all over the world, commercial products made from berries, and berries in art. Recommended." "I have spent many warm, autumn afternoons, picking plump blackberries from field hedgerows. . . . Berries documents such traditions, along with intriguing botany, berry-lore, and the berry’s place in international medicinal and culinary history. . . . Anderson covers the huge topic amazingly well, keeping the discussion engaging and entertaining throughout. . . . These stories, as well as the folk tales and mythology, make for a fascinating read. . . . I have a new appreciation for these jewel-like fruits." 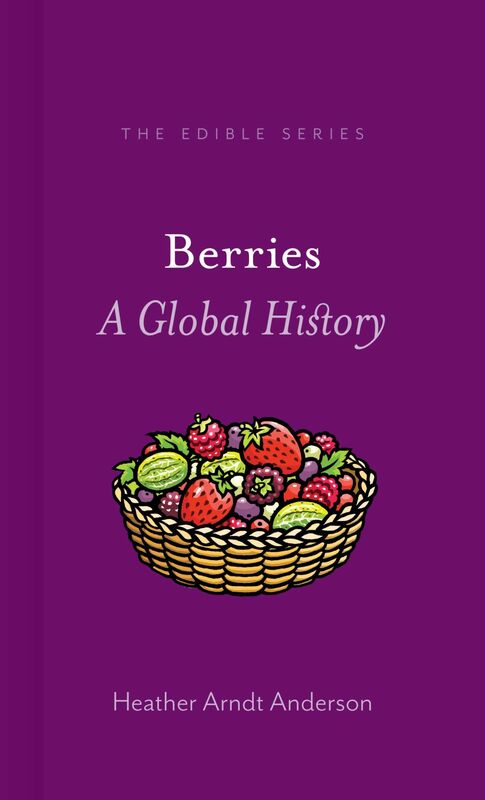 "There is much to learn about berries in this short book, with chapters covering their cultivation, culinary uses (from pies, preserves, cakes, and desserts to juices and alcoholic drinks), and their historical role as both poison and panacea. . . . Concise and attractively illustrated, Berries makes a tasty snack."